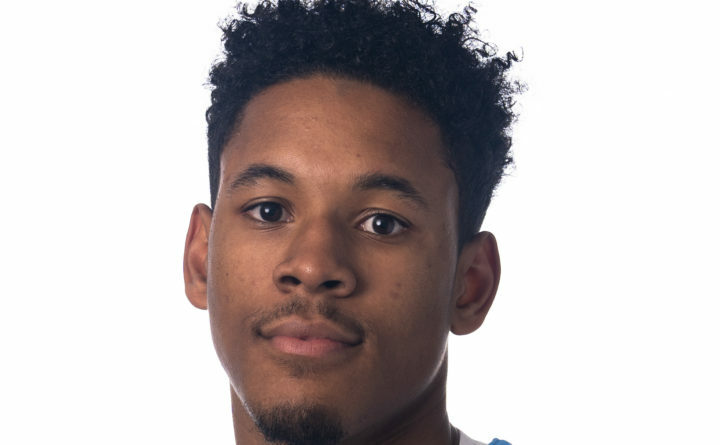 SALT LAKE CITY — Led by a game and career-high 24 point performance from redshirt-junior Isaiah White, the University of Maine men’s basketball team played tough, but ultimately fell to Utah, 75-61, on Thursday night at Jon. M. Hunstman Center. White drained 9-of-17 field goal attempts on the evening, including 3-of-6 from 3-point range. Freshman Terion Moss recorded 13 points, including 12 points on four 3-pointers in the second half alone. Vilgot Larsson added nine points, along with collecting a team-high seven rebounds for the Black Bears (0-2). Out of the gate the Runnin’ Utes (1-0) started their season on fire from the field, converting their first five 3-point attempts early on to gain an early advantage. Utah built an early 20-8 lead, and increased the advantage to 30-15 with 8:17 left in the first frame. The two teams traded baskets the rest of the half, with Utah taking a 45-28 lead into the locker room. After the halftime intermission, the Black Bears regrouped, as White and Moss led Maine back into the game on a 15-8 run. Maine shot 4-of-7 from the field during the run, as the Black Bears now trailed the Utes by just 10 at 53-43 with 14:15 remaining. Moss 3-pointers three times got Maine back under a single-digit deficit at 55-46 and at 61-50, and at 67-56, but Utah prevented Maine getting any closer the rest of the way, winning 75-61 in front of 10,971 at their season-opener. Maine outscored Utah 33-30 over the final 20 minutes to keep first contest between the two schools competitive. The Black Bears recorded assists on 16 of their 22 field goals (73 percent). For the Utes, Sedrick Barefield (18 pts.) Donnie Tillman (15 pts.) and Parker Van Dyke (11 pts.) all reached double-figures in scoring. Novak Topalovic added nine points and 10 boards for Utah. The Black Bears conclude its western portion their six-game road trip to start the season on Saturday, when Maine heads to the University of San Francisco. The tip-off at the Sobrato Center is set for 5:00 pm PT/7:00 pm ET.